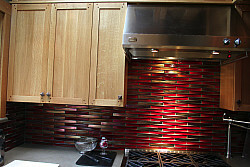 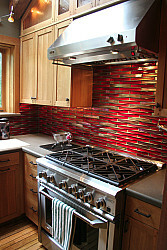 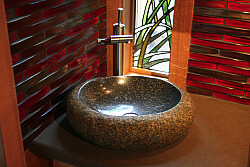 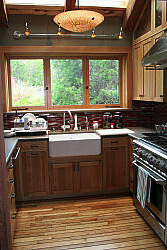 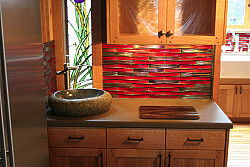 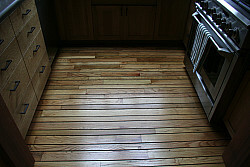 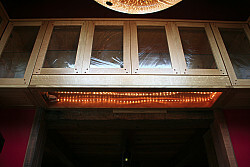 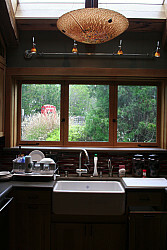 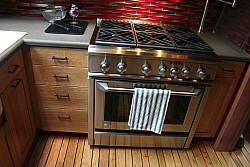 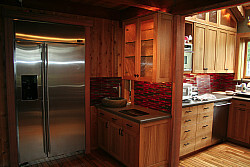 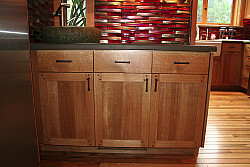 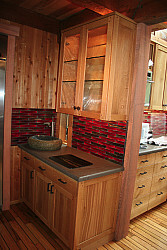 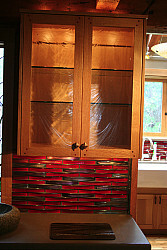 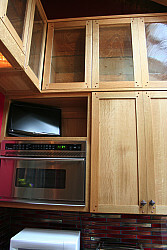 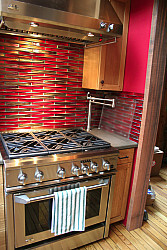 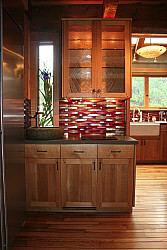 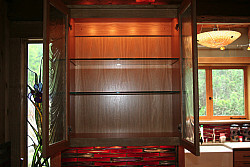 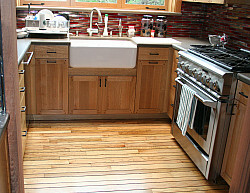 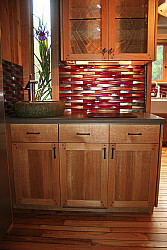 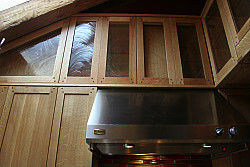 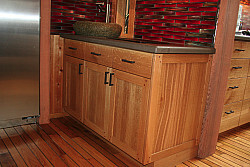 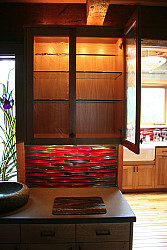 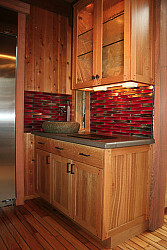 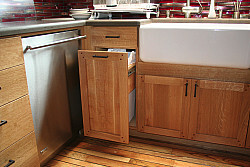 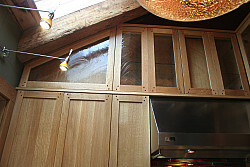 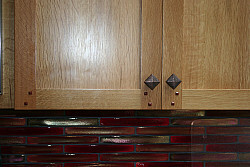 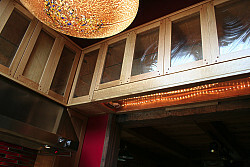 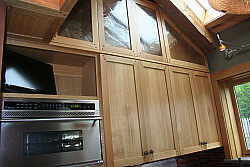 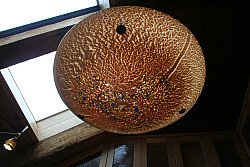 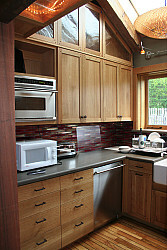 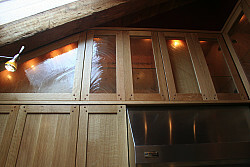 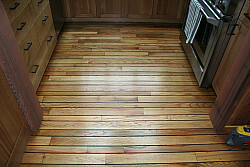 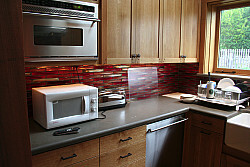 Here is recently completed kitchen in Mendocino. 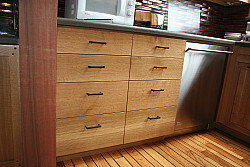 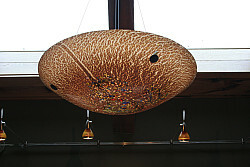 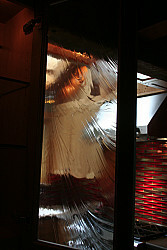 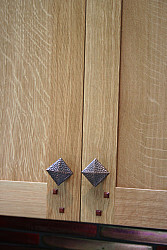 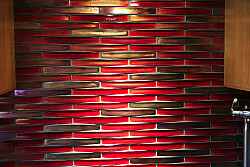 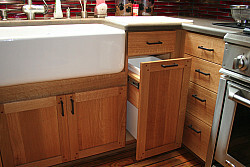 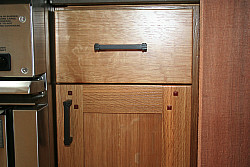 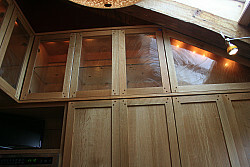 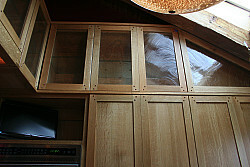 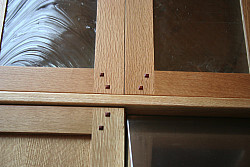 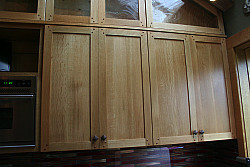 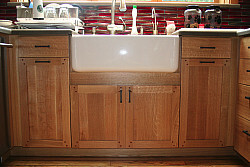 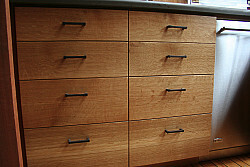 It is constructed of Quarter Sawn White Oak. 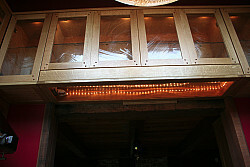 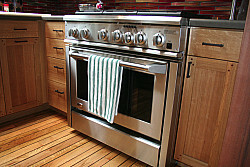 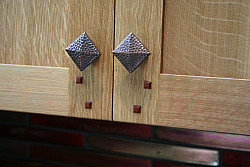 and the knobs and pulls are oil-rubbed bronze.